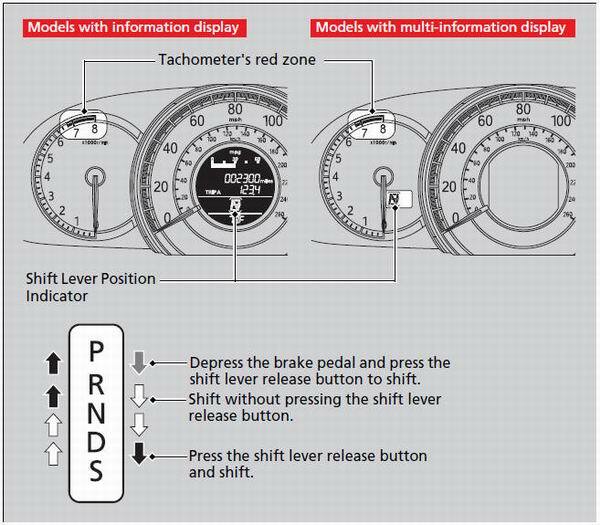 You cannot change the power mode from ON to VEHICLE OFF (LOCK) unless the shift lever is in (P.
The vehicle may move forward very slightly even in while the engine is cold. When shifting gears in extremely low temperatures (-22°F/-30°C), there may be a short delay before the shift is indicated in the display. Always confirm you are in the correct gear before driving. 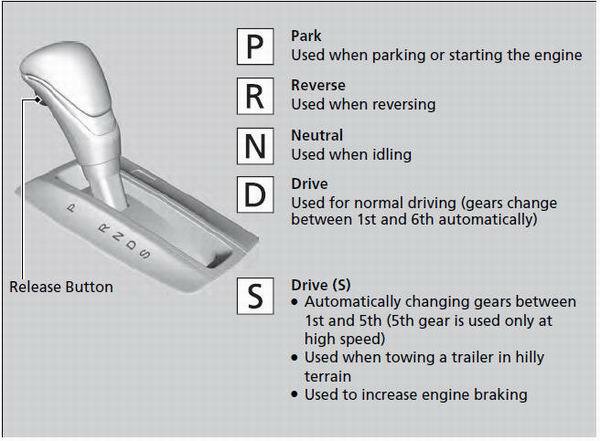 When you change the shift lever from to and vice versa, come to a complete stop and keep the brake pedal depressed. The fuel supply may be cut off if you drive at engine speeds in or over the tachometer’s red zone (engine speed limit). If this happens, you may experience a slight jolt.